Citizens’ Option (OC) is a Colombian political party founded by an imprisoned politician and arguably the most disreputable member of President Ivan Duque‘s coalition. The OC is latest iteration of the now-defunct right-wing political party Citizens’ Convergence (CC), originally founded by former teachers’ union leader Luis Alberto Gil in 1997. It found its way to Congress in the 2002 elections through cooperation with the also-defunct paramilitary organization AUC. The party has since undergone various transformations since its creation. Citizens’ Convergence first came to prominence in the 2002 presidential election, supporting the candidacy of former president Alvaro Uribe. In this period they were known to have accepted into their ranks many politicians rejected by other pro-Uribe groups for their ties to paramilitary entities, including senator Luis Eduardo Vives and Eleonora Pineda. Despite the successful election of Uribe, they did not enjoy much influence in congress as they won only one seat in the Senate and two in the House of Representatives. They also did not participate in the Uribe coalition, further reducing their importance. The 2006 elections, however, vaulted the party into power as they won eight seats in the House of Representatives and seven seats in the Senate. With this newfound influence, the party aggressively supported the Uribe government and helped secure the passage of many of his policy proposals. However, their effectiveness would be severely reduced after it was discovered in 2006 that many of the politicians in the party had strong times to paramilitary groups, a phenomenon that become known as the Colombian Parapolitics scandal. While many political parties were involved in and affected by the scandal, the CC was perhaps most affected. Many of their leaders, including founder Gil and representatives Luis Alfonso Riaño and Juan Manuel Herrera, were detained based on their connections to paramilitaries. The blows dealt the CC in the fallout from the parapolitics scandal ultimately led to its dissolution, though in 2009 the party reformed as the National Integration Party (PIN) in an attempt to distance itself from the marred history of the CC. In the 2010 elections, PIN surprised Colombian politics by capturing nine seats in the Senate and 12 seats in the House of Representatives despite 2010 being their inaugural election year. Many of the politicians backed by PIN in 2010 had familial and other connections to politicians imprisoned in the wake of the Parapolitics scandal. These include ex-senator Gil’s wife, the son of ex-governor Hugo Aguilar, who was investigated for ties to paramilitaries in the Santander state, and the sister of ex-senator Alvaro Garcia Romero, who was convicted of embezzlement and involvement in the massacre of Macayepo. 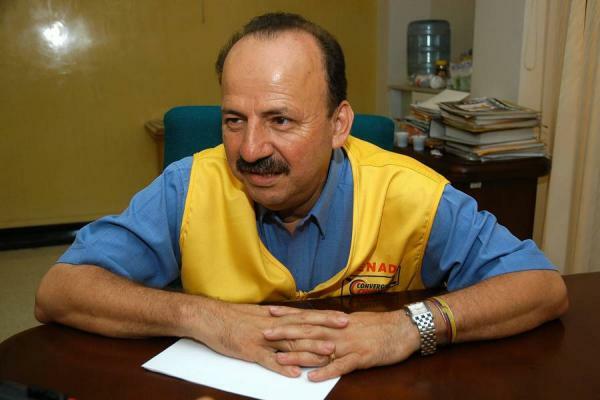 Moreover, Gil was believed to be leading the party from prison by making decisions and directing the putative leader of the party, Alvaro Caicedo. Gil was also thought to organize the integration of members of the National Democratic Alliance (ADN), whose legal status as a party was rescinded based on ties to paramilitaries, into PIN. In 2013, PIN again reformed, this time as OC, in another attempt to change the image of the party and distance itself a second time from a reputation consistently associated with paramilitary groups. As such, it can be said that OC is the current incarnation of PIN and the CC, parties long since disgraced for their explicit connections to paramilitaries. The 2014 elections saw a contraction of the party’s power as they only won 5 seats in both chambers of parliament as the OC. However, the party nonetheless enjoys the legitimacy that accompanies acceptance into the ruling coalition. Santos also appointed an OC member to the position of Superintendent of Economic Solidarity, further solidifying the party’s acceptance into the mainstream Colombian political spectrum in spite of their history of paramilitary influence.